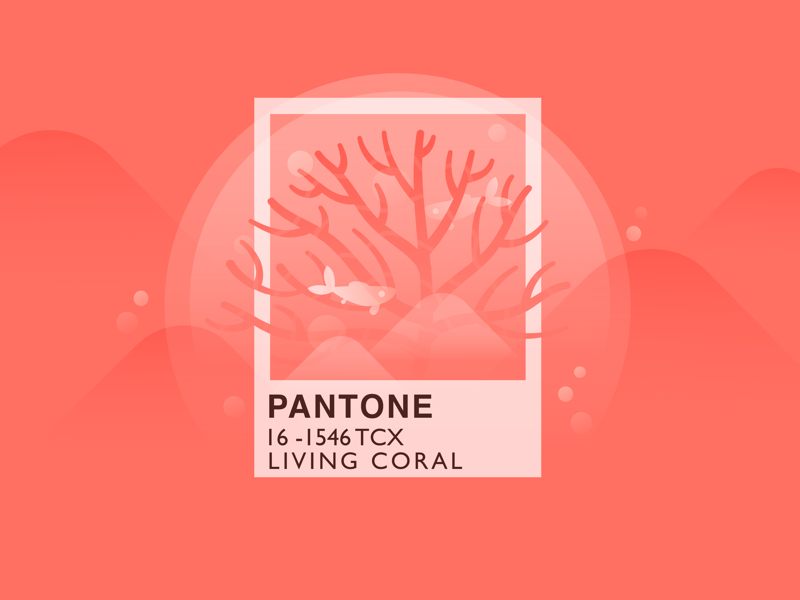 In 2019, Pantone has moved away from the ethereal feel of the previous year's Ultraviolet shade and, instead, hit the ocean to celebrate a fun, yet meaningful color: Living Coral. Also known as Pantone 16-1546, this hue is described as "vibrant yet mellow." It is intended to "[embrace] us with warmth and nourishment to provide comfort and buoyancy in our continually shifting environment." Living Coral represents a notable departure from the rose and blush colors that have dominated the fashion and design scene for the last few years. Bolder and spunkier, this hue can instantly bring a fresh feel to even the drabbest looks. No wonder it's making waves in the ever-changing world of interior design. 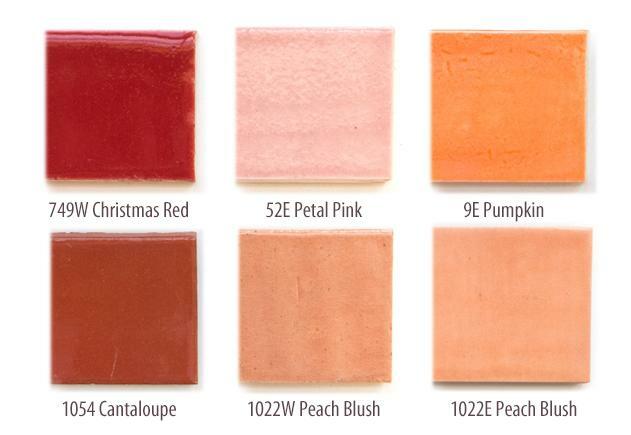 We adore Living Coral, but we're willing to admit: it doesn't blend well with a lot of colors. The hue's natural limitations may initially seem frustrating, but these limits actually present a huge opportunity for those who ordinarily struggle to mix and match. Instead of wasting your time investigating a variety of colors, you can stick to a narrow palette that you know will work. With Living Coral, it's all about warmth. Ditch those cool, ashy colors and stick with reds, pinks, and blushes featuring decidedly warm undertones. While its name evokes images of coral reefs and stunning seascapes, Living Coral is not a natural color. 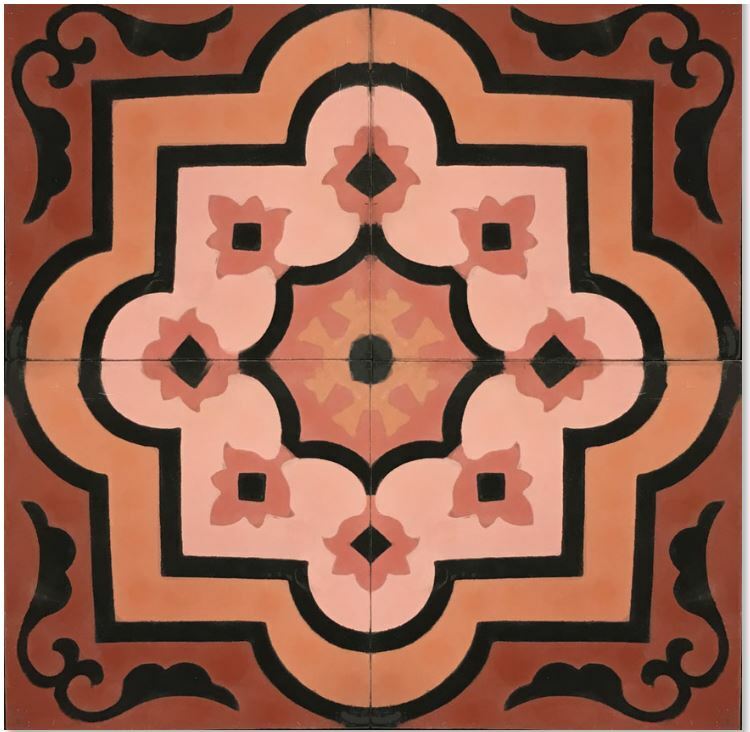 You won't find it naturally occurring in your favorite stone tiles; it primarily arrives by way of glazes or in glass. Thankfully, both methods are easy to incorporate in your home. The ocean vibes of Living Coral present intriguing opportunities for experimenting with unique shapes and patterns. This color is not a wise choice for those who prefer to play it safe. Go bold with a sea-inspired pattern such as fish scale tiles, which look especially impressive when featuring coral hues alternated with lighter colored tiles. 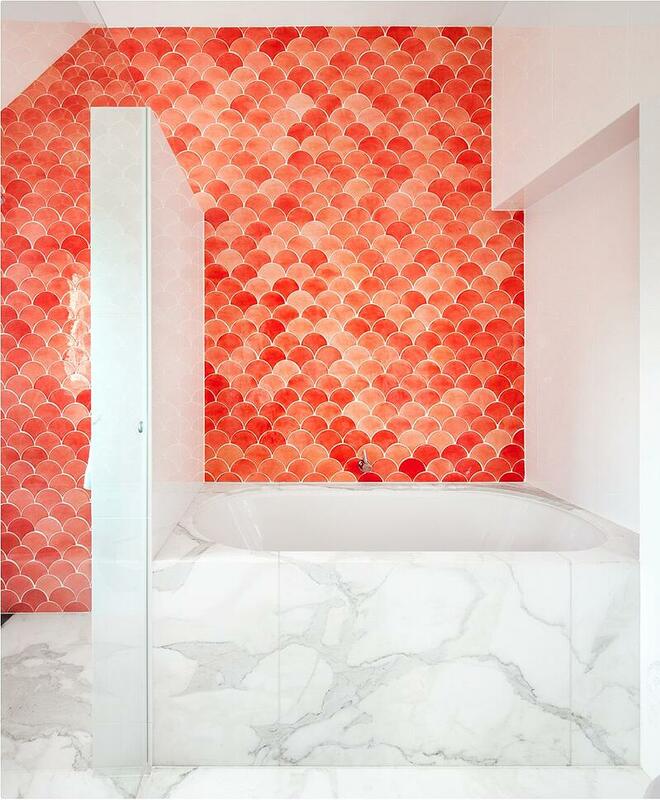 Pantone's take on coral is also well-suited to hexagonal tiles and other unexpected shapes. If you intend to bring elements of new and vintage design together, Living Coral could be the perfect addition to your next mosaic look. Mosaic House has nailed this concept by incorporating coral into its ornate encaustic cement tile. This mosaic has a classic style, and yet, its beautiful blend of colors prevents it from looking stale. With Living Coral, less is more. While the color lends itself nicely to bold designs, these should be used sparingly to minimize the potential for clashing. The ultimate accent color, Living Coral is ideal for establishing a focal point. It looks lovely when integrated into bathroom backsplash or featured in small doses via artwork, decor, or even furniture. If you're loving the boldness of Living Coral but not quite ready to commit to this vibrant color, seemingly minor touches can still make a huge difference in your interior design. Something as simple as a coral throw pillow could bring completely different vibes to your living room, particularly if you tend to gravitate towards neutral color schemes. Struggling to find inspiration? 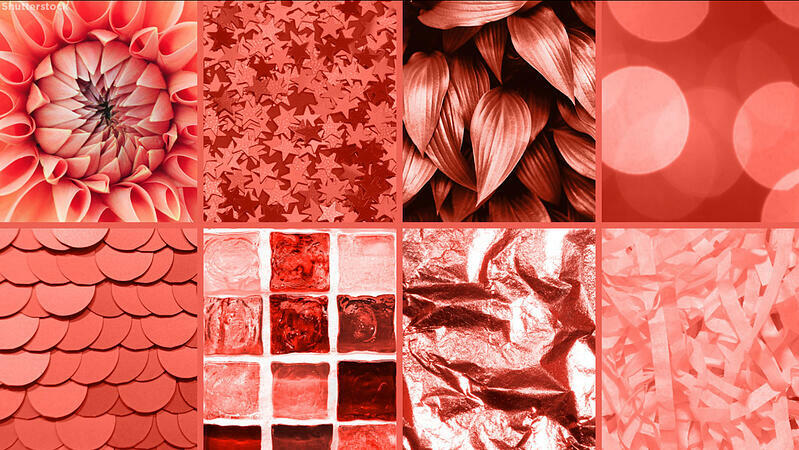 Look to Pantone's mood board for ideas. This image will grant you a better feel for the general concept of Living Coral and what, exactly, it's intended to represent. Don't be afraid to experiment; as long as you stick to a few key focal points, you're sure to impress with your use of this undeniably spirited color. Are you intrigued by the idea of incorporating Living Coral into your next design? Or would you like to experiment with another trend-forward color? We're happy to help. Check out our Design Style Quiz, where you can gain a better idea of the looks that best reflect your unique personality. You can also catch a variety of bold looks on display in our showrooms. Don't hesitate to contact us online to learn more.